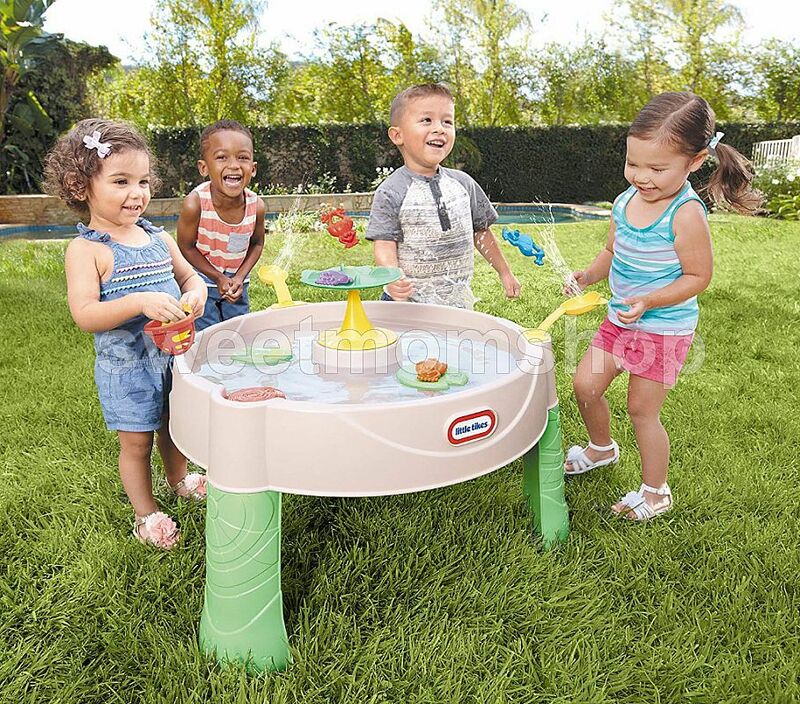 This excellent outdoor water play table for toddlers doubles as an exciting game. 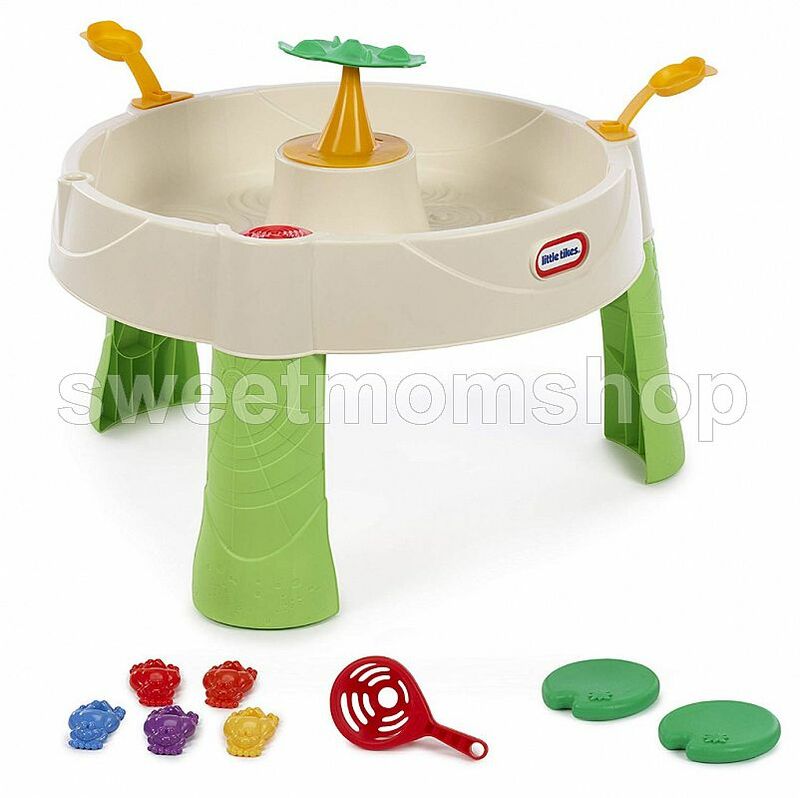 Kids love playing games and making up their own game is so much better; with the Frog Pond Water Table they can do just that! When the frog is launched where will it land, in the water, on a lily pad or on the center tower? 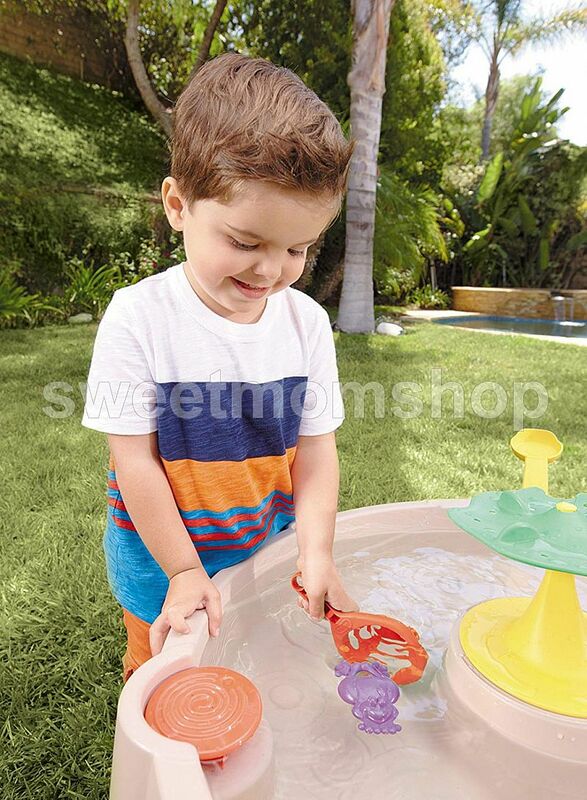 Watch as your child has endless fun as they use their imagination with each flip of a frog!